EBI Consulting is pleased to announce the promotion of Darren Stineman to Chief Financial Officer. Darren joined EBI Consulting in 2016 as Vice President of Strategic Planning and Analysis. He was quickly promoted to Senior Vice President of Finance in March 2017, where he was responsible for driving company strategy, strengthening EBI’s position in the market, and solidifying the Accounting, Credit, Marketing, Finance & Planning processes, in order to reach EBI’s next phase of growth. Since joining EBI Consulting, Darren has been the architect of several high value initiatives, all which have led to improvements in the company’s Sales Strategy, Operational Management, Content Marketing, Pricing, Financial Analysis, and the utilization of the company’s newest CRM and HCM systems. 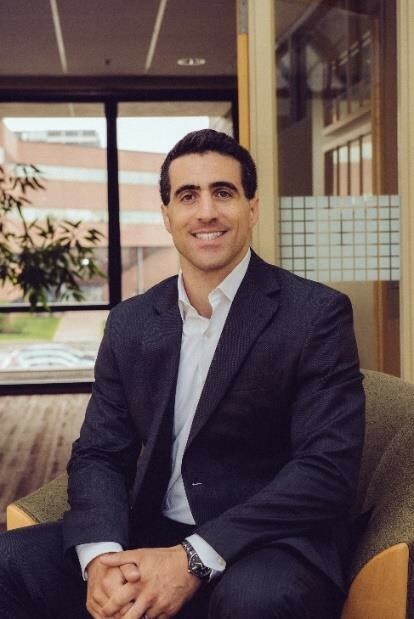 In addition to leading our Accounting, Credit, Financial Planning & Analysis, and Marketing functions, Darren will help drive the return on investment from our new systems and operational performance, as well as support the development and execution of strategies across all of our administrative functions. Before his start at EBI, Darren held a few different corporate financial leadership positions, including having spent a decade within the professional services sector. He received both a Bachelor’s and Master’s degree in Finance from Bentley College. EBI Consulting (incorporated as EnviroBusiness, Inc.) provides environmental due diligence, risk and compliance management, energy and sustainability, and engineering services to a diverse base of top real estate, finance, telecom, life sciences, healthcare, academic/laboratory and manufacturing clients nationwide, including many “Fortune 500” companies. Founded in 1989, EBI Consulting is based in Burlington, MA and has well over 400 full-time employees located in 40 states across the U.S. EBI has been recognized as one of the nation’s 50 fastest growing environmental firms and was named in 2012, 2013 (122nd), 2014 (110th) and 2016 (98) by Engineering News-Record (enr.com) as one of the Top 200 Environmental Firms in the country. For more information about EBI Consulting, our service offerings and current open positions, please visit our website at www.ebiconsulting.com.